Book a FREE Quote Today for your Commercial painting work. If there ever was a true test of a professional painter’s mettle, it’d be commercial painting. No other form of painting tests a painter’s ability to prepare and paint a surface to survive in environments that experience high amounts of traffic, industrial pressures and chemical spills. The harsh environments of exterior painting and roof painting, pale in comparison to the extreme stresses of commercial painting. 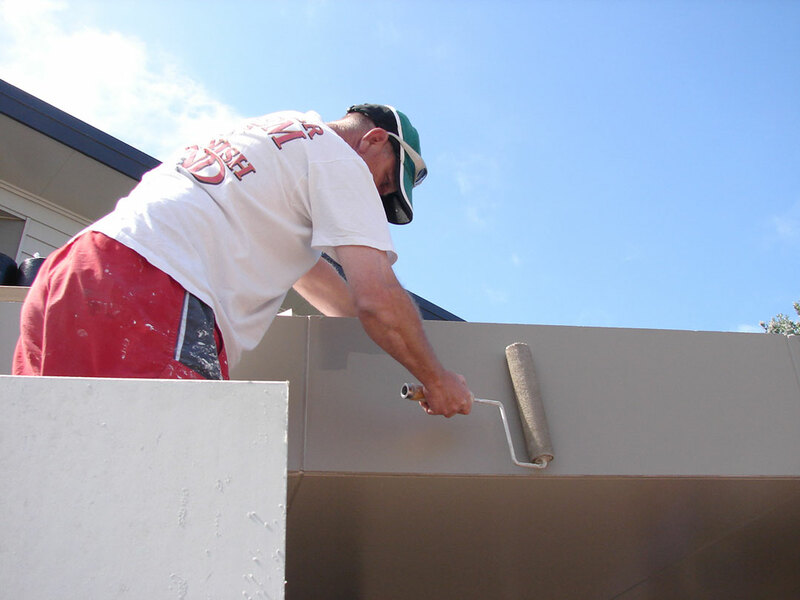 We have many years of experience painting in both Auckland and around New Zealand and we have learned a few tricks over the years to get the best commercial paint finish. From restaurant interiors that have hundreds of eyes scrutinizing the work while they wait for their steaks, to industrial shops that subject the paint to more chemicals than a science lab. Contact us for a surface that will not only look great but also survive in the extreme environments of commercial applications. To get the best out of the surface your new paint will be applied to, we first go over the surface and check for any defects or holes that require gib stopping or plastering. If the existing paint is flaking or bubbling, we will strip back the paint and sand it down to remove the defects and give the new paint a porous surface to adhere to. Once the gib stopping and plastering has been completed and sanded smooth, we can apply a high quality industrial sealer that is specially formulated for such environments. No area is too big for us as we have the right know-how and equipment to take on the biggest of commercial work to ensure a quality and prompt service. We have been in this game for too long to let a large job stop us from completing work on time as we understand any downtime in your business is money down the drain. When you hire BJA Painting Services for commercial work you will get prompt and reliable service from a professional team of painters and plasterers. Any commercial decorating requirements can be delivered in a timely and dependable manner with a paint finish second to none. Need a Commercial Painter in Auckland? – Start Here! If you are ready to hire BJA Painting Services for your commercial painting work, then start by contacting us for a free quote. All jobs are considered and we work all through West Auckland and beyond. The first step to a great finish is contacting BJA Painting Services; we will make the rest of the journey a walk in the park.